The creek belongs to the family araceae. Its scientific name is Zantedeschia aethiopica in honour of the Italian botanist G. Zantedeschi. Is commonly known as alcatraz, cala, cala Ethiopian ring Ethiopia, water lily, cartridge, flor de pato o flor del jarro. It is a native plant of southern Africa. 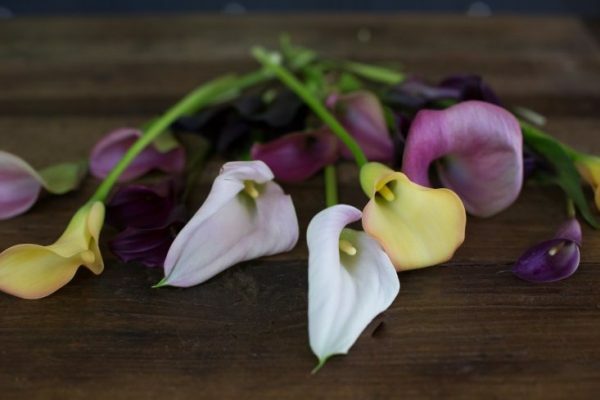 What we usually consider the flower of the calla is actually a body similar to the petals that surrounds the spadix which is where they are grouped in reality the little flowers. It consists of an underground stem from which sprout each spring the espatas. The flowering lasts until the fall when the plant starts its dormancy period. It is a plant semiacuática that can be grown next to the water. All modes can be grown even in pots and indoors. 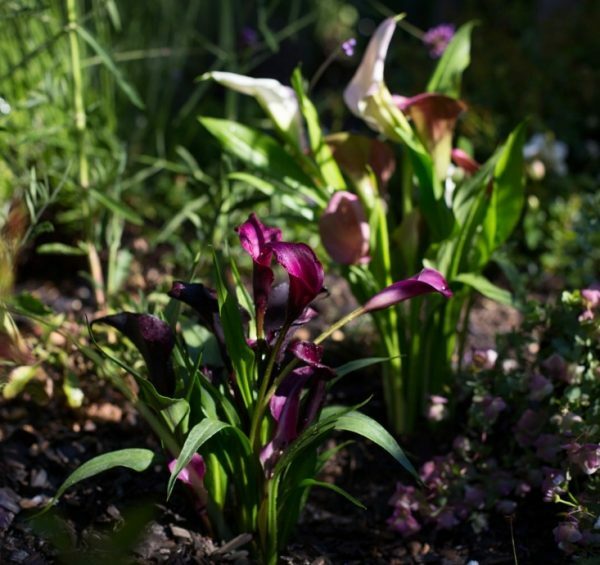 You need a good sun exposure and a soil always moist but well-drained soil. There are currently a large number of cultivars in colors varied, white, pink, yellow, purple and mauve. 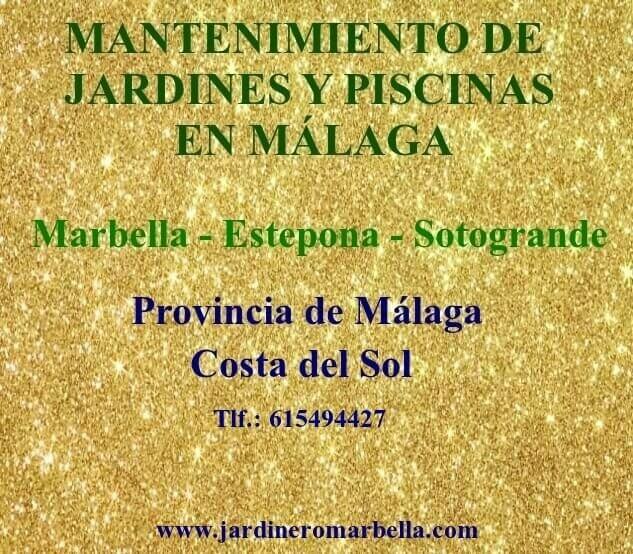 It is an ideal plant for novice gardeners who like a lot of water already in the flowering period there is that watering too frequently. 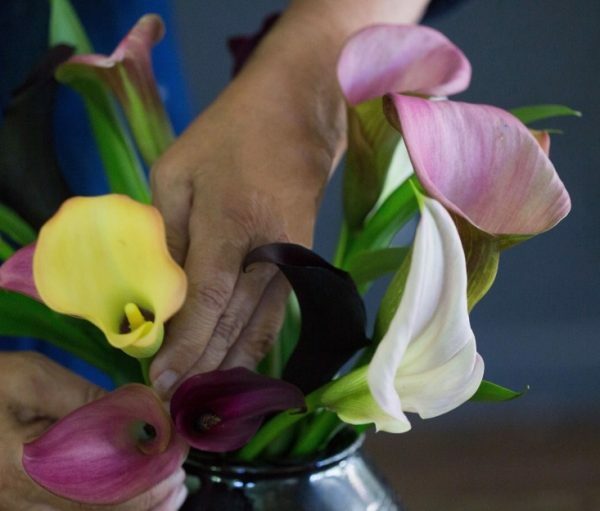 The main use of the cove is as cut flower and here we want to show you how you can prepare a nice bouquet of calla very easily. 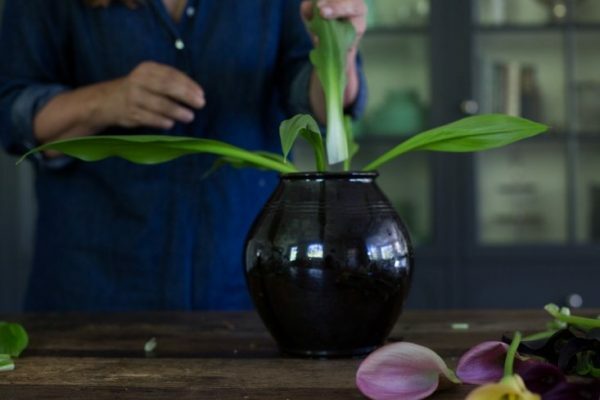 We will select a vase to black to best show off your colorful coves and we’ll put on some leaves to give it a more natural look to the bouquet. We will have pre-joined sheets and a elastic to prevent it from falling over the sides of the vase as they are very soft. 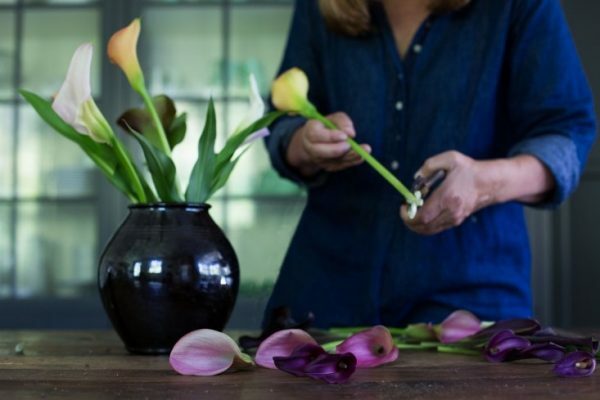 We will give you a cut diagonally to the base of each cove to encourage the taking of the water of the vase. We will use for this a very sharp scissors or pruning shears. We will placing the coves in between the leaves so that they remain firm and do not expire. We will put them one by one and with care to not harm. We can combine all the colors together or whatever you prefer. We will strive to leave enough space between the bays for air to circulate. The cove is a flower of very short duration, in 2-3 days you’ll notice that it begins to lose vitality. 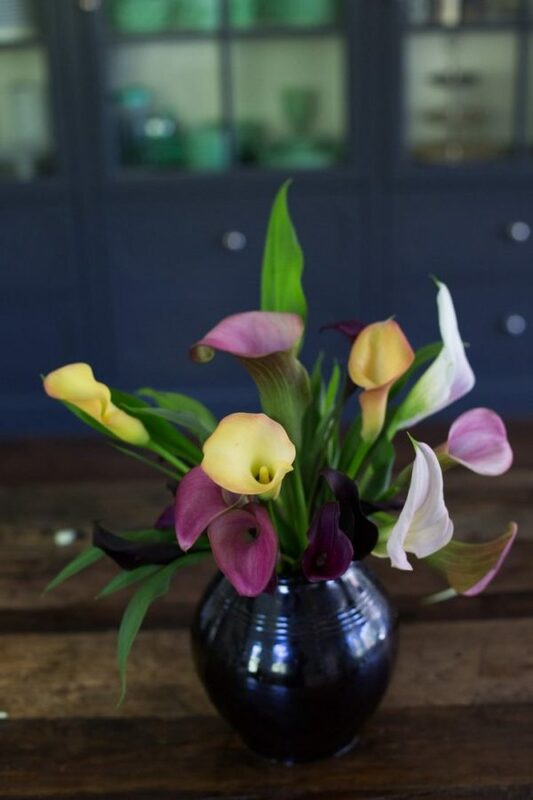 So take advantage of the season to always have a beautiful bouquet of calla decorating your house.